Use this Car and Driver credit score tool to get your free Equifax credit score. Not sure what your credit score is, or fearful you won’t have the credit to finance your new Toyota truck, crossover, or SUV? Put an end to your worrying with this Car and Driver credit score tool today. 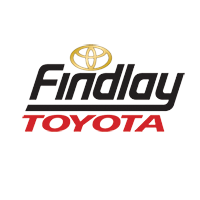 If you need help using it, don’t hesitate to get in touch with Findlay Toyota, your Las Vegas area Toyota dealership. Will I Be Able to Lease or Finance My New Car with a Bad Credit Score? If after you get your free Equifax credit score from our Car and Driver credit score tool, you’re worried you won’t be able to get the vehicle you want, worry no more! Our financing experts will work with you regardless of your credit score to get the best monthly car payment for you possible. What’s more, our frequently updated new vehicle specials will help bring the price of your next Toyota even lower.